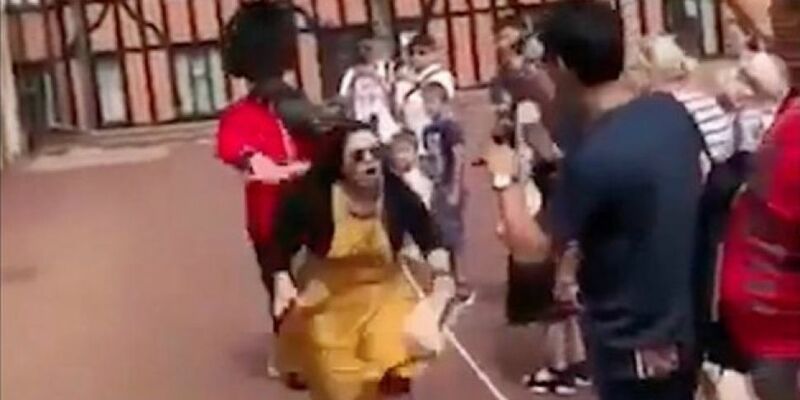 A tourist got unceremoniously removed from the path of a Queen's Guard who was patrolling outside Windsor Castle. Don't let their cute oversize hair fool ye. It wouldn't be the first time something like this has happened. These lads DON'T mess about. Just look how this Guard reacts when a tourist walks alongside him then puts a hand on his shoulder. You can just see the exact moment the tourist fills his pants.